If anything, video games are an important part of a child’s life. You learn strategies, techniques and playing against your friends can help you understand the importance of coming out on top. Outside of dominating opponents, every game you play comes with an important lesson. Video games will teach important lessons such as finding secret paths on roads that could lead to an alternate universe. You never know what you’ll come across. Thankfully, these folks proved that video games are a way of life. This could be a great school project to show off to your woodshop teacher. 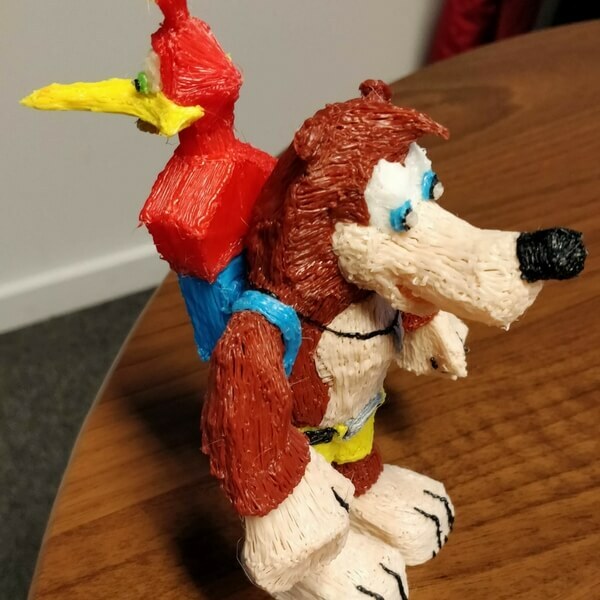 There’s a chance they’ll give bonus marks for the perfection of this Banjo-Kazooie figurine. Heck, if this was available in stores, I’d gladly buy one of these. Seeing this instantly brings back any 90’s kid to their childhood days.